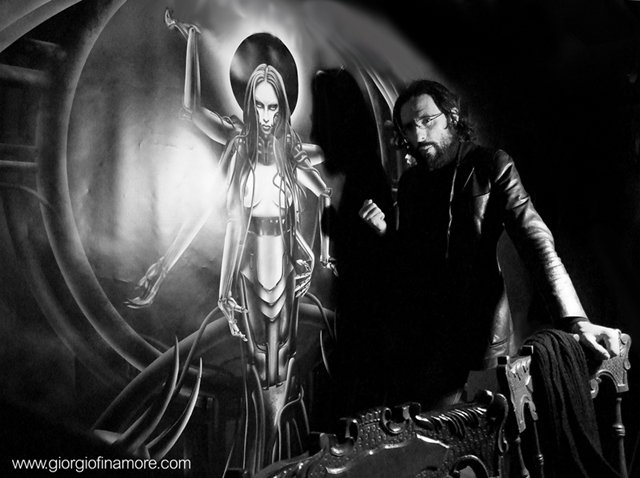 THE POSTMODERN GOTHIC ARTWORK OF GIORGIO FINAMORE - During the past 20 years the artwork of Giorgio Finamore (born 1975, in Venezia, Italy), including illustrations, paintings, graphics, comics, tattoos creation, animations and photographs, has been published on magazines, books, cd covers, and showcased in numerous exhibitions. His work has focused on the creation of a series of dark and upsettingly intriguing art illustrations, by means of a style that could be defined as "fantasy realism", juxtaposing an evocative surrealist imaginery with a highly conceptual content based on issues arising from the unquestionably complex relationship between man and technology. Site designed and maintained by Giorgio Finamore in collaboration with Claudio Colombo. All the images are copyrighted works by Giorgio Finamore. All Rights Reserved.